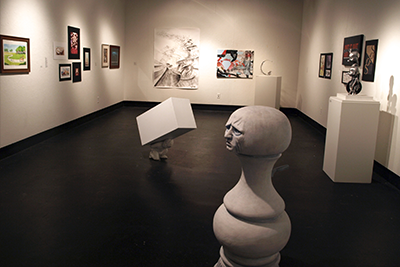 Named "Best Art Gallery" in the 2015 OC Weekly "Best of Orange County" issue, the 2,500 square foot Nicholas & Lee Begovich Gallery presents exhibitions that contribute to the experience of learning about and better understanding visual culture. 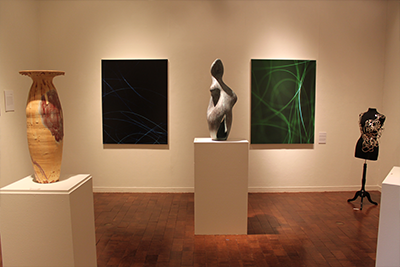 The regional focus of the exhibitions is Southern California, but also includes national and international projects that merit scholarly attention. 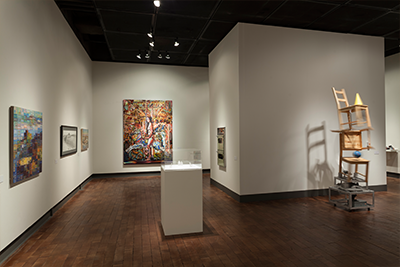 Graduate students in the exhibition design program also hone their skills as future exhibition designers and museum professionals in the gallery, transforming theory into practice. 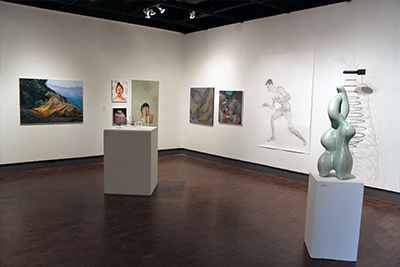 The Marilyn & Cline Duff Gallery, is a small exhibition space adjacent to Begovich Gallery used for graduate student exhibitions. It is also frequently used by exhibition design students as an alternate space for their graduate exhibition projects and installations. 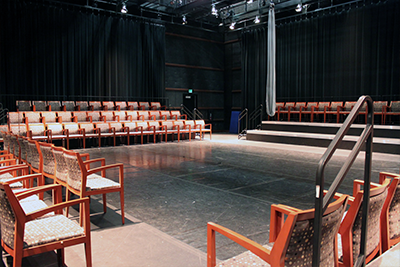 The 150-seat Hallberg Theatre is built in the black box tradition, and includes flexible seating from in the round to a more traditional formation. This space features experimental and rarely performed Theatre productions and also showcases new plays. 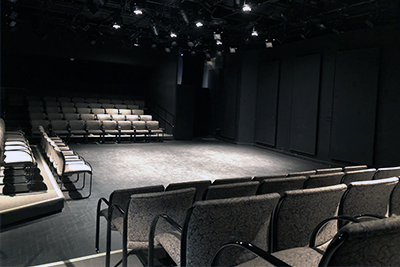 The 480-seat Little Theatre presents most of the Department of Theatre and Dance's musical productions as well as the fall and spring Dance Theatre productions. The William J. McGarvey Family Dance Studio is designed for instruction and performance. 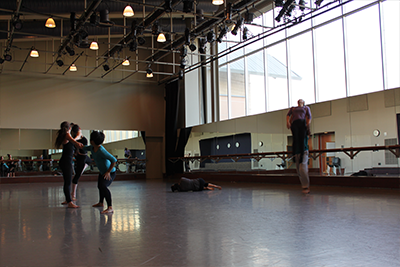 This studio is used to showcase new dance choreography and to feature individual dance recitals. 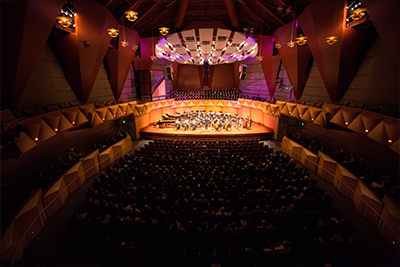 Lauded for its outstanding acoustics, the 800-seat Vaughncille Joseph Meng Concert Hall engages the listener with its subtleties and unobstructed sound. Performances by the University's music ensembles and guest artists produce a synergy not felt in traditional university concert halls. The 200-seat recital hall presents more intimate music performances including chamber music and recitals. The Recital Hall is also used for the School of Music opera productions. 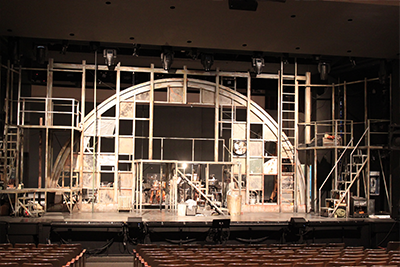 The 250-seat James D. Young Theatre is the major stage for dramatic productions presented by the Department of Theatre & Dance. 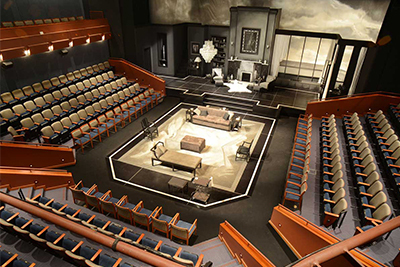 This thrust-stage theatre is designed to bring the actors to the center of the space with seating on three sides, both on the floor level and in the balcony. This intimate space is designed to engage the audience and make the theatre-going experience more meaningful. 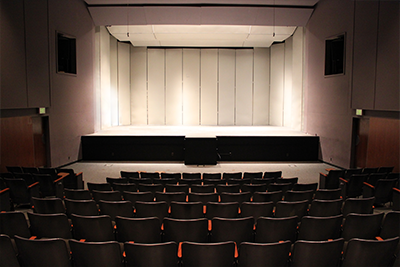 The 100-seat Arena Theatre (located down the hallway from the Little Theatre) is home to the Department of Theatre & Dance's Studio Series with performances in the Arena and Grand Central Theatres. The Arena Theatre also features student showcases.